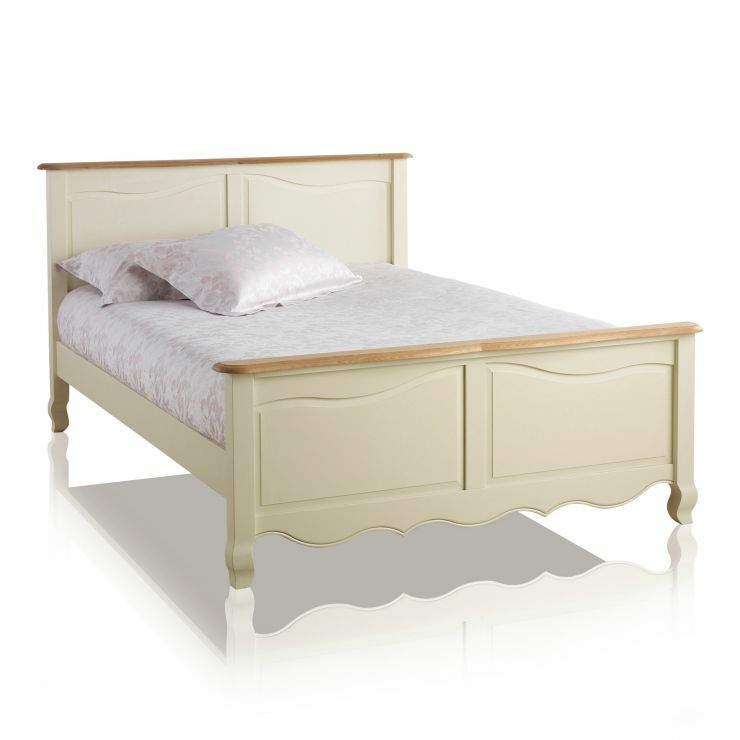 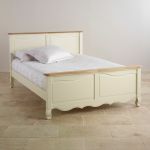 The Bella Brushed Oak and Cream Painted King-Size Bed epitomises the splendour of this range and will work well in many settings, whether traditional or contemporary. 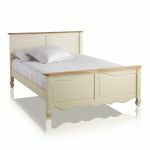 The cream frame and brushed natural oak top of the headboard and footboard reflect light to create a feeling of space. 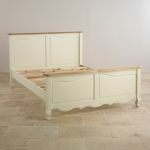 The eye is drawn to the exquisite undulating skirt and carved feet, which add refinement to the design. 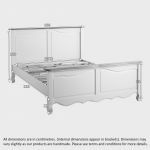 The slatted base enables air to move below the mattress, allowing it to breathe and to promote a luxurious night's sleep. 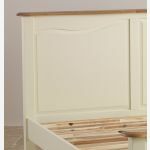 The slats and rails are made of the same high quality solid hardwood as the rest of the bed.